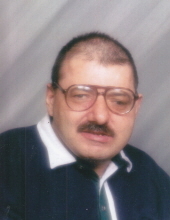 DANIELSON – Richard Robert Sarette, 65, of Danielson, went home to be with the Lord on Friday, March 22, 2019 at UMass Memorial Medical Center in Worcester, MA. Richard was born in Putnam on August 7, 1953, son of the late Paul R. Sarette and Theresa (Poirier) Sarette Marquette. Richard worked at U.S. Button and later for the former Dempsey Center for many years. He was a communicant of St. James Church in Danielson where he was a former altar boy. He is survived by his brother Michael Sarette of Brooklyn; sisters, Jeanne Fogg of Gales Ferry, Elaine Wakefield of Dayville, Celia Hancock of CA, and Laurie Beauchene of Brooklyn. He is also survived by many nieces and nephews. He was predeceased by his brother Paul R. Sarette Jr. A Memorial Mass of Christian Burial will be held on Wednesday, April 3, 2019 at 10:30 A.M. at St. James Church, Danielson. Burial will be private. To send flowers or a remembrance gift to the family of Richard R. Sarette, please visit our Tribute Store. "Email Address" would like to share the life celebration of Richard R. Sarette. Click on the "link" to go to share a favorite memory or leave a condolence message for the family.